Yellow tea is a broad class or type of tea, usually considered as a category of its own, alongside green, black, white, oolong, and dark/hei cha (Pu-erh) teas. Of these more well-known types, yellow is most similar to green tea, but it has certain distinctive characteristics of aroma, color, and flavor, and is produced in a distinctive way. 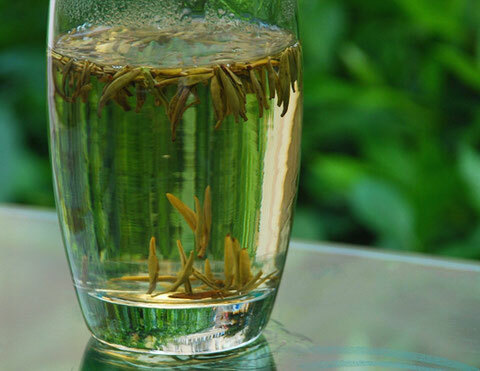 The processing of yellow teas is similar to that for green teas, but differs in that there is an additional step, in which the gathered leaves are allowed to sit and yellow somewhat, giving the tea its distinctive character (and name). Most teas processed in this way, like huangya and Junshan yinzhen, are made exclusively from buds or leaf tips. These teas are thus slightly more oxidized than green teas. 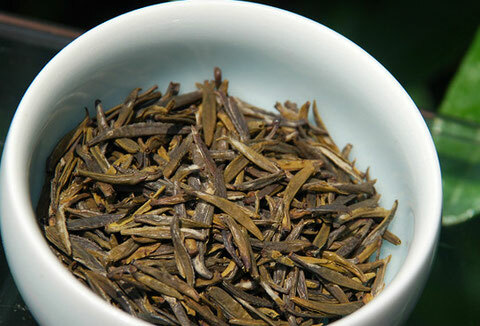 Like greens, further oxidation is halted by the heating of the leaf, which is contrasted with white teas which are minimally processed and often will continue to oxidize somewhat in storage. yellow tea is an extremely rare Chinese tea that is actually yellow in colour with numerous health benefits.Yellow tea is lightly oxidized and is known to work well on the stomach when consumed. The leaves that are used to make yellow tea are fried and then wrapped in a special kind of material for about three days then roasted. Yellow tea have, as people would say a “funny” smell.The tea was not very popular at first but is now gaining popularity especially in the Western Countries. Produced only in China, yellow tea is yellow both in the leaves and infusion. Yellow tea has countless health benefits, it stimulates your appetite and also aids in the weight loss process. The tea is also known to prevent cancer especially esophageal cancer because of its rich source of polyphenols, polysaccharide, vitamins and amino acids. Lately, the tea has become high in demand with it been an excellent source of anti-oxidants and flouride which also prevents tooth decay and helps the bones become stronger. The tea is also known to lower blood pressure, protect the heart and lower cholesterol. Tea is one of the most popular beverage in the world, actually its next to water. Yellow tea also comes from the tea plant Camellia Sinensis. All avid tea drinkers get a lot of benefits from consuming tea daily, it strengthens the immune system most of all ward off the common cold and influenza (flu). Yellow tea is known for its green grassy smell and as such most of the processing that takes place is to remove some of that smell to give it a unique flavour. People who have consumed yellow tea states that the taste is somewhere between green and black tea. Yellow tea contains no sugar and was more appreciated by the locals back in the days, the process of making yellow tea is said to be more time consuming compared to other teas. Yellow tea has been the least popular back in the days because people gravitate more to the consumption of darker teas, during the process of making yellow tea, it lost its appearance. Some people have even stated that yellow tea is even healthier than most teas. 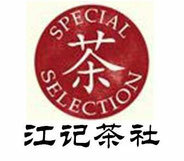 But, nevertheless, it is still a wonderful tea and in the near future will gain its popularity like other famous teas. Is Yellow Tea Healthier Than Green Tea? Green tea has always been touted for its antioxidant and cancer-fighting abilities. A long history of scientific research backs many of the health claims. The antioxidant levels of yellow tea, however, have not yet been extensively studied. It has been hypothesized that yellow tea will have similar if not higher antioxidant levels due to the early harvest and slower drying phase. 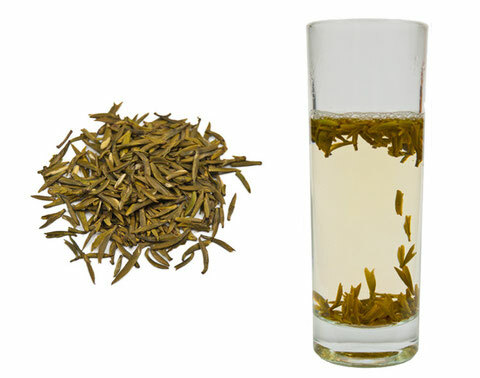 White tea is also thought to have higher antioxidant levels but, again, the studies on this are not extensive yet. Phenolic compounds in the tea leaves are the antioxidants. There are several different phenolic compounds, one in particular, epogallocatechin (egcg), has been attributed to beneficial effects on the cardiovascular system, the nervous system, and the digestive system. Antioxidants in tea have also been implicated in lowering blood sugar levels, particularly with respect to diabetes, and in improving mental health. Yellow tea has been recently noted, in a 2007 scientific study, to have higher capabilities of suppressing liver toxicity more efficiently than green, white, black, oolong, and pu-erh teas.